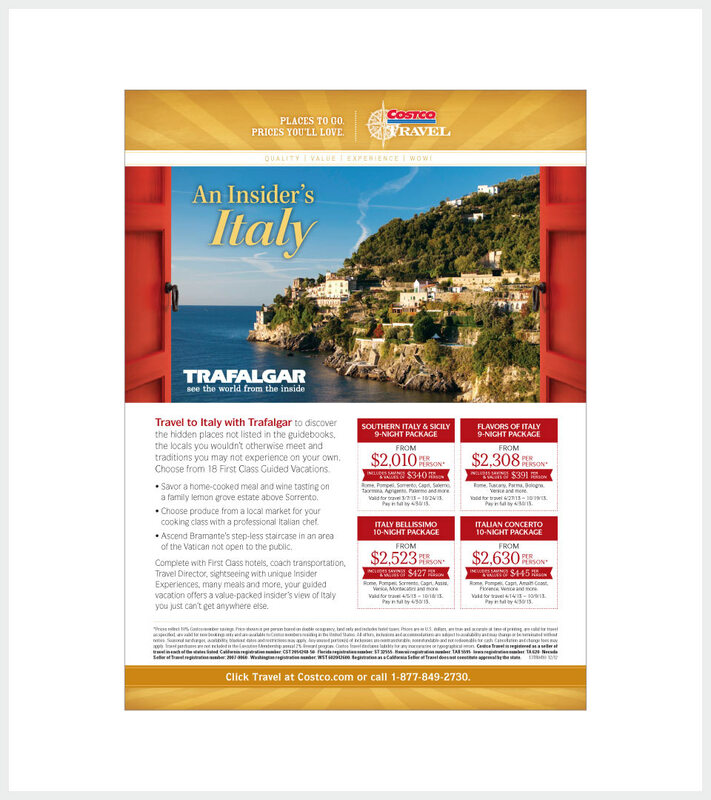 Costco Travel partners with some of the world’s top travel providers to offer Costco members a wide assortment of vacation packages to destinations all over the world, as well as exclusive deals on hotels, rental cars, cruises and guided tours among other travel-related services. The following examples show a selection of work designed for Costco Travel to promote these offerings. This banner was designed to reflect the feel of a tropical vacation while presenting an overview of the many offerings available from Costco Travel. The design of this ad uses color, type and imagery to reflect the destination and give the feel of being on an exclusive tour of Italy. 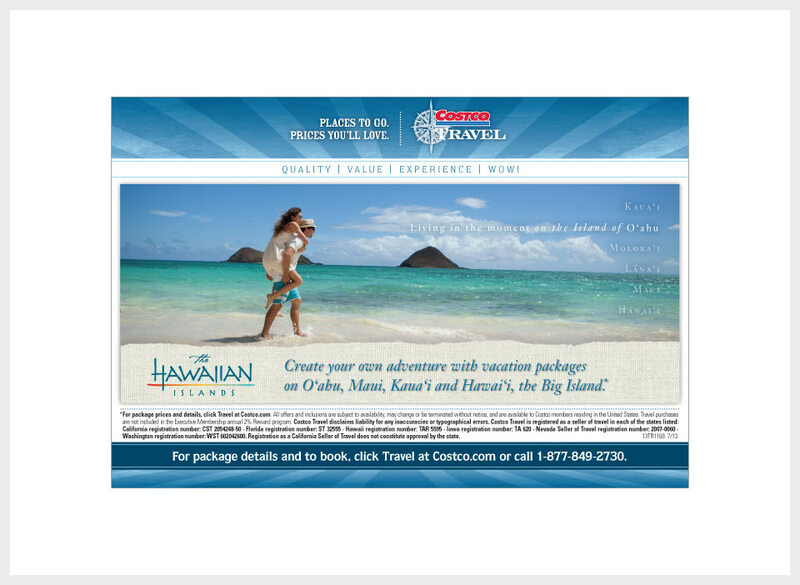 The design of this ad features a picturesque Hawaiian beach to promote vacation packages offered by Costco Travel throughout the Hawaiian islands. 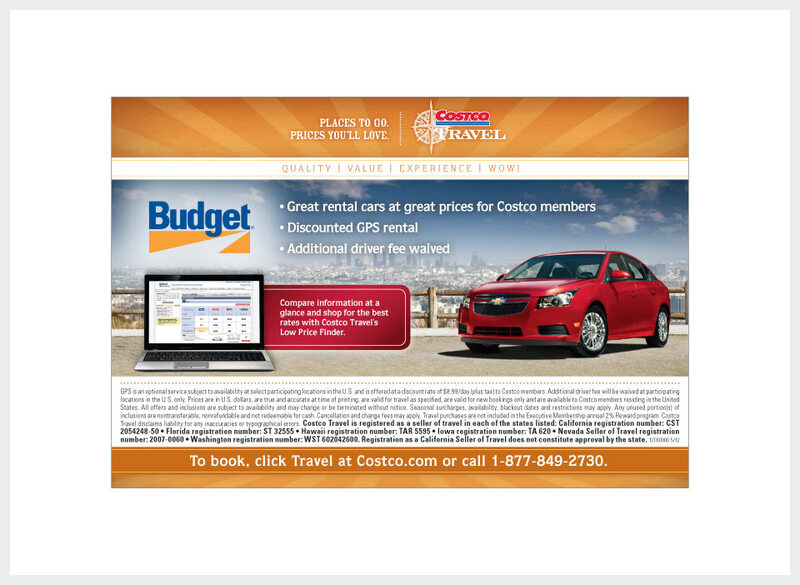 This ad was designed to promote Budget rental cars offered through Costco Travel and to inform viewers of the Low Price Finder comparison tool.